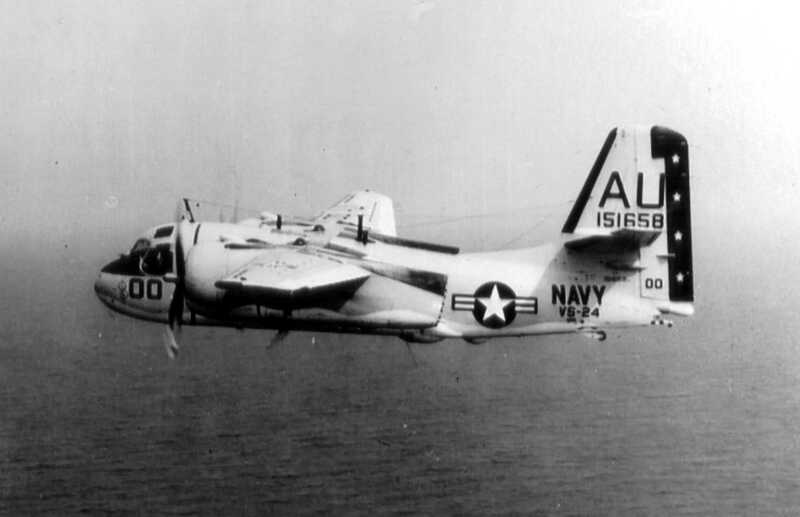 On the afternoon of October 10, 1958, a U. S. Navy twin-engine Grumman S-2 Tracker aircraft left the Quonset Point Naval Air Station in Rhode Island, bound for Hartford, Connecticut. The plane carried three navy officers and an enlisted man, all assigned to the 32nd Air Anti-Submarine Squadron based at Quonset. When the plane landed in Hartford, the enlisted man exited the aircraft. Then the plane took off bound for Harriman-West Airport in North Adams Massachusetts. The purpose of the flight was to meet with the airport manager, and to examine the field to see if it was suitable for other navy aircraft to participate in an upcoming airshow being sponsored by the Civil Air Patrol. At 3:35 p.m., After conducting their business at the airport, the plane took off to return to Quonset Point. It went down the runway in a westerly direction towards the town of Williamstown. According to numerous witnesses, when the aircraft left the ground it began a very step climb. It continued to climb in an almost vertical position until it reached an altitude of about 2,500 feet, when black smoke suddenly belched from one of the engines. Then the plane nosed over and began to fall, but then seemed to recover. It then made a left turn towards the airport as if the pilot was tying to return, and then went down into a wooded area about 500 feet west of the Williamstown-North Adams town line, and about 1,000 feet east of Luce Road. Witnesses rushed to the crash site. The first to arrive found the aircraft broken in two sections and on fire. When they tried to approach, one of the four auxiliary wing tanks suddenly exploded sending a fiery mushroom cloud 100 feet in the air. The injured pilot was found a few feet away, having been thrown clear on impact. The pilot was conscious but seriously injured. After dragging him to safety, there was nothing more they could do. The other two men aboard did not survive. Several clergymen arrived at the scene and gave last rites to the dead. It was speculated that the cause of the accident was due to unresponsive mechanical controls. Lt. (Jg.) Louis M Bradshaw, 22 or 23, of Austin Texas. He’s buried in Oakwood Cemetery in Austin. Lt. Arthur U. Roberge, 27, of Vermont. He’s buried in Arlington National Cemetery. www.findgrave.com, memorial #26212486, and 49302817. On April 16, 1949, an F6F-5 Hellcat, (Bu. No. 72664), took off from the Squantum Naval Air Station for a training flight. While over the area of Taunton, Massachusetts, the engine began to run erratically, so the pilot looked for an open area to make an emergency landing. Sighting one, he headed for it, but as he was making his approach the engine suddenly stopped running and the aircraft crashed into a wooded area. The aircraft was damaged beyond repair and the pilot was seriously injured. U. S. Navy Hellcat accident report dated April 16, 1949. On October 29, 1944, a F6F-5, Hellcat, (Bu. No. 58128), was taking off from the Beverly Navy Auxiliary Air Field for a training flight. As the aircraft began to climb the engine began sputtering and then quit. The plane came down and was damaged beyond all repair, and the pilot received non-life-threatening injuries. The pilot reported that when the engine failed all instruments were reading normal. The cause of the crash is unknown. U. S. Navy accident report dated October 29, 1944. On May 19, 1946, Lt. (Jg.) 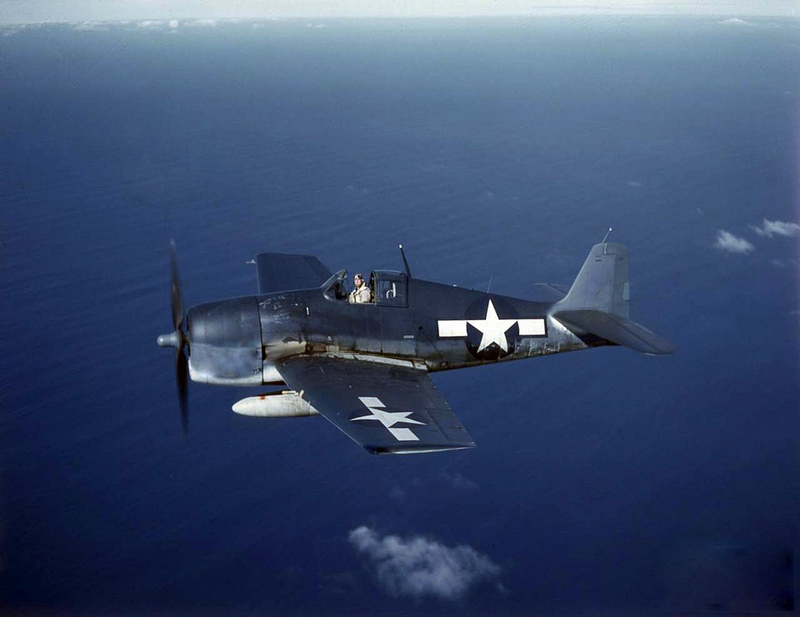 Richard M. Kimball took off from the Squantum Naval Air Station in an F6F-5 Hellcat, (Bu. No. 70556), for a routine training flight. His flight path took him over the water off the coast of Harwich, Massachusetts. There he encountered a fog bank lying three to five miles off shore, with a low cloud ceiling of 50 to 100 feet covering the entire area. As he was approaching the shoreline, he began attempting to drop below the cloud ceiling to obtain a visual reference with the ground and while doing so crashed into the water about one-quarter mile from shore. The aircraft broke apart on impact and Lt. (Jg.) Kimball was killed. 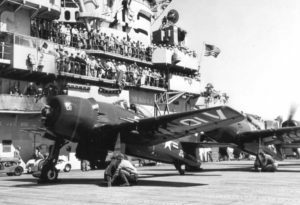 On the morning of May 23, 1946, two U. S. Navy F6F-5N Hellcat aircraft took off from the Squantum Naval Air Station for a tactical training flight. One of the aircraft, (Bu. No. 70927), was piloted by Ensign Stephen J. Pilcher, (22). The other was piloted by his long-time friend, Ensign J. Thomas Holmes, (22). Both men were from Wilmington, Massachusetts. On this particular morning Ensign Pilcher hadn’t been scheduled to fly, and was filling in for another pilot. The pilots proceeded to the area of their home town of Wilmington where they engaged in mock combat flight tactics over the town. While doing so, hundreds of town residents stopped what they were doing to watch the aircraft go through their maneuvers. At about noon, according to the U. S. Navy accident report, Ensign Pilcher’s aircraft was seen to enter a dive from approximately 1,800 feet and pull out while near the ground. He then attempted to regain altitude and the plane went into a slow roll to the right before it nosed over and dove to the ground. The aircraft exploded on impact killing Ensign Pilcher instantly. Ensign Pilcher’s plane came down in a wooded area in Wilmington’s Nee Park section, between Cedar and Harris Streets. Ensign Pilcher is buried in Wildwood Cemetery in Wilmington. To see a photo of his grave go to www.findagrave.com and see memorial #174623672. There had been no mid-air collision between the two aircraft. After the accident Ensign Holmes returned to Squantum. Town Crier, (Wilmington, Mass. ), “An American Patriot And Our Local Heroes”, November 14, 2001. On August 9, 1946, a navy Lieutenant (Jg.) was taking off from Hyannis Airport in a Grumman F6F Hellcat fighter plane when the aircraft suddenly went into a roll and crashed just after leaving the ground. The unidentified pilot was badly burned in the accident, and the aircraft was destroyed. The pilot was found about forty feet from the burning plane, and was transported to the hospital via ambulance. Source: Cape Cod Standard Times, “Navy Pilot Badly Hurt As Plane Crashes, Burns Near Hyannis.”, August 9, 1946, page 1. At 2:00 a.m. on the morning of May 8, 1945, an F6F-5N Hellcat, (Bu. No. 70543), was approaching the runway of the Martha’s Vineyard Naval Air Station when one of the wings clipped an unlighted obstruction which caused the aircraft to crash. The plane suffered considerable damage, but the pilot was not seriously injured. On May 1, 1958, U.S. Navy Lieutenant(jg.) 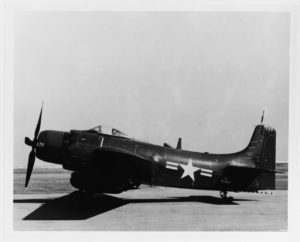 Willaim C. Cox, 25, of Wickford, Rhode Island, was piloting a Douglas AD-5 Skyraider on a training flight off Martha’s Vineyard, Massachusetts. At 11:30 a.m. he reported that he had an emergency and was bailing out from an altitude of 2,000 feet. No position was given. Two witnesses reported seeing the plane go down in Vineyard Sound about 8 miles west of Martha’s Vineyard, about half way between Noman’s Land and Cuttyhunk Islands, but did not see a parachute. A search was instituted, but neither Lt. Cox or his aircraft were recovered. Cape Cod Standard Times, “Navy Plane, Body Found Off Vineyard”, July 10, 1958. This headline refers to a WWII navy Hellcat that was found in the waters off Martha’s Vineyard with the pilot’s remains still inside. The last part of the article mentions Lieutenant (jg.) Cox’s accident. The two incidents were not related. While passing overhead, the aircraft began to execute a maneuver where each in turn would roll over and dive downward. As they were doing so, the second and third planes in the formation collided in mid-air, and both crashed as a result. Both planes came down in the neighboring town of Braintree. The first slammed into the home at 26 Edgemond Road, which was occupied by 74-year-old William Madden. Madden escaped the burning house with only minor injuries, but died of a heart attack later in the day. John Tower, a World War I veteran, suffered sudden death as he tried to assist at the site of the second crash. Another employee of the refinery told reporters he saw the body of one aviator lying on the ground with his parachute partially opened. Aviation Cadet Ellsworth Benson,26, of Newton, Mass. (Naval Reserve) Buried in Arlington, National Cemetery, Section 6, Site 9183. Aviation Chief Machinists Mate John Ausiello, 35, of Revere, Mass.